For those wishing to pursue a career in accountancy, there are opportunities within Ryecroft Glenton to study whilst obtaining practical experience with excellent personal development opportunities beyond qualification. We encourage applications from enthusiastic, high calibre graduates from all disciplines for Chartered Accountancy training contracts. We also take applications from school leavers to take the Association of Accounting Technicians (AAT) exams after which there may be the opportunity for study towards further qualifications. From time to time, other vacancies occur throughout the firm in both technical and support roles. We welcome speculative applications from exceptional candidates for experienced, graduate and school leaver positions. Please send your CV along with a covering letter explaining why you are exceptional. If you would like to apply for a position within the firm or to know more about current vacancies, please contact Geoff Cawthorn or Sara Farrey at our Newcastle Office. Due to significant recent growth, we are looking for a self-directed, experienced and forward-thinking accountant, with a commercial and analytical brain, to work within our OutsourcedFD advisory division. The successful candidate should be interested in providing strategic advice to small to medium sized privately owned businesses, presenting to board/owner level while managing a client portfolio with the support of our outsourced accounting team. Manage our comprehensive suite of outsourced advisory services for your own portfolio of clients. Develop, and expand on existing and new relationships with key client decision makers. Ensure continuous delivery, to set deadlines, of all ongoing client engagements. Review management accounts and management information, sense checking the output, identifying trends and providing insightful commentary to clients. Assist in developing systems which help to identify trends, problems or opportunities, to assist our clients in making key decisions and delivering their strategic plans. Work with a varied client portfolio with regular client interaction, job autonomy and full support from a team of hard working specialists. What we are looking for in our new Outsourced Advisory Consultant. Excellent communication: both written and oral, with an ability to deal with a variety of people in different environments. Organisational skills are essential: you need to enjoy working within a team, managing staff, handling pressure and multiple assignments without missing deadlines. Be positive and committed to the firm and its core values in dealings with both staff and clients. Be forward thinking, innovative and overall be a part of our continued growth. Experience in cloud software, especially Xero and Quickbooks and associated Apps such as ReceiptBank and FUTRLi. Relevant qualification – Qualified AAT, Part or fully qualified ACA or ACCA. 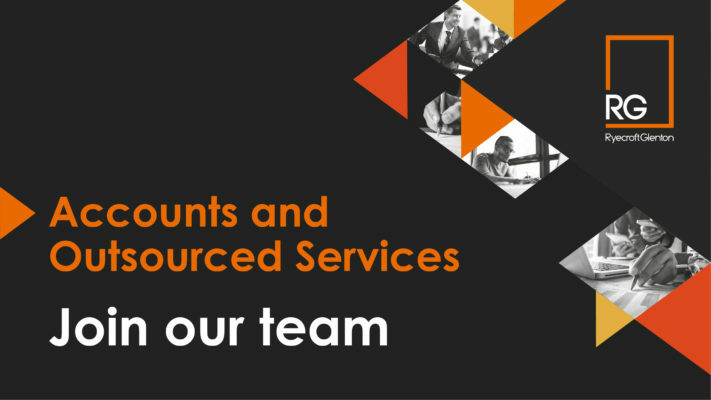 We are looking for accounting and bookkeeping staff to work within our growing outsourced division. The successful candidates should be from a practice background and have experience using cloud software, especially Xero and Quickbooks. Bookkeeping on cloud software for a range of clients. Communicating and dealing with queries from clients, including attending their premises when required. Ability to communicate confidently with RG partners and managers. Ability to manage time to meet deadlines. Experience in cloud software, especially Xero and Quickbooks and associated Apps such as ReceiptBank. Salary depending upon experience and qualification. We are looking for an experienced secretary to work within our support team. The position will be varied and allow you to develop your skill set in a number of different areas based around secretarial duties and office administration. The successful candidate will also be required to provide reception cover so will require switchboard experience. • Assist fee earners and other admin staff with ad-hoc duties. • Previous secretarial and reception experience.
. • Ability to manage time to meet deadlines. • Be positive and committed to the Firm and its core values in dealings with both staff and clients. • Salary depending upon experience and qualification. Our clients really do see us as being a part their business and team. Our approach is to be clear, focused and have a passion for what we do. 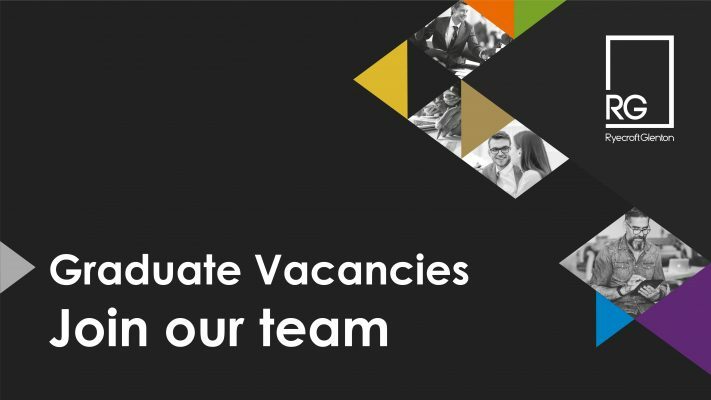 We are searching for graduates to join our team in September 2019 to study to become Chartered Accountants. The successful candidates will gain work experience with us whilst studying for the ACA qualification with the Institute of Chartered Accountants in England and Wales (ICAEW) under a level 7 Accounting Professional Apprenticeship. There may also be an opportunity to study for the joint ACA and Chartered Tax Advisor qualification. Ryecroft Glenton is a leading North East based accountancy and business advisory firm, founded in 1901 and dedicated to delivering exceptional financial and strategic advice to our clients. We have dedicated rooms where graduates are based, together with a training supervisor who will ensure that they are provided with comprehensive on the job training. We act for a wide range of clients from small local businesses to large national and international corporates, delivering accounting and tax advice, carrying out audits, advising on acquisition and disposal mandates, as well as providing strategic growth & development advice. From day one our graduates are given the opportunity to prepare clients’ accounts from start to finish, to prepare tax computations and to assist in audits of organisations based both in the North East and nationally. They will also have the opportunity to prepare VAT returns and management accounts for clients using the latest cloud software products. Most of our graduates stay with us for the longer term due to our track record of providing opportunities to progress to more senior positions. Following qualification, there is the opportunity to specialise in one or more of RG’s 6 service lines. To find out what it is like to be a graduate with RG read these testimonials from our former and current graduates. 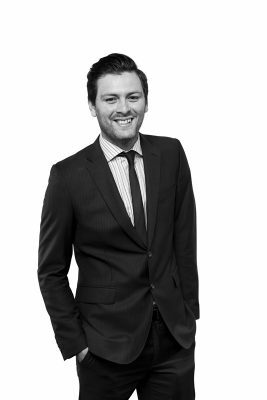 After graduating from Newcastle University in July 2007, I joined Ryecroft Glenton as a graduate trainee, and started working towards my ICEAW Chartered Accountant qualification in September that year. Having a relevant degree (Accounting and Finance) I received some exemptions, although at the risk of making myself sound old, many fewer than are now available. My training contract ended in September 2010. After qualification I was offered the option of moving to work in a different service line, having been primarily engaged on accounts and audit work up to that point. I chose to spend time working in personal tax and business tax as I had always found tax interesting and I wanted to gain a broader understanding of the area. In our industry it’s at the qualified stage when chartered accountants tend to get itchy feet, but I can honestly say the thought never crossed my mind. I knew I could achieve whatever I wanted here, and I had thoroughly enjoyed working with everyone at RG over the previous three years. I looked after a portfolio of personal and corporation tax clients whilst studying for the CTA exams and after being promoted to manager in April 2012 moved back into the audit and assurance department but retained a portfolio of personal tax and corporation tax returns. I completed my CTA exams in November 2013 and became CTA qualified in January 2014. 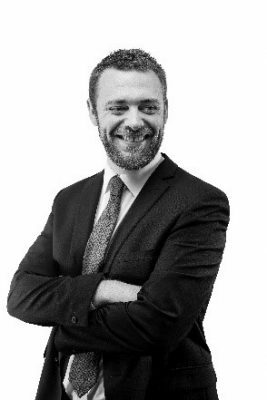 Since then I have continued to manage a portfolio of audit clients whilst also becoming more involved in the business tax side of the business, including taking responsibility for a sizeable portfolio of corporation tax cases. I was promoted to senior manager in July 2015, and after almost 11 years at the firm, Director in May 2018. This year has seen further changes in my role, with more emphasis on the business tax side. Looking back over the past decade or so, I couldn’t ask for more in terms of the career progression opportunities I have had, and the people I have worked with. I joined RG as a Chartered trainee in September 2016 after completing a Business Management with Finance degree at Nottingham Trent University. During my time at university I’d analysed many sets of accounts but didn’t know about the process of producing accounts. What I liked about RG is that you were given a chance to do this within the first few weeks and every week I gained confidence in my ability to produce accounts with the training I received. The support from your training supervisor and fellow trainees is invaluable. I have worked on clients from a wide range of sectors during my time at RG, including agriculture, professional services and manufacturing. The experience of a trainee is varied; I have done everything from bookkeeping, preparing VAT returns and management accounts, preparing year end accounts to attending large audits. My first two years have been very enjoyable, and the work environment that we have here at RG has contributed to that. My colleagues have all been very approachable and supportive, especially when exam season comes around. After work the social life at RG is very active. I play for the RG football team and attend various social events. 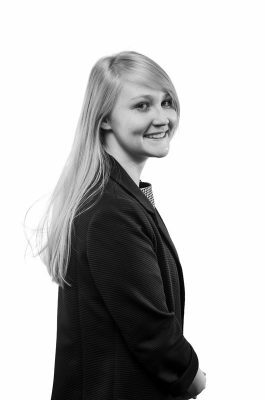 I joined RG as a Chartered trainee in September 2017 after completing an Accounting degree at Northumbria University. Even though I completed an Accounting degree, I didn’t really know about the end to end process of creating a set of accounts and RG gave me that insight within the first two weeks! Sitting in a training room with other graduates and a dedicated training supervisor has really helped me develop more quickly in my role, as someone is always on hand to explain any queries I may have. The past year has seen me develop both as an individual and as a professional, gaining experience in preparing accounts and tax computations for a wide range of businesses including charities and limited companies. I have also been part of a team on several audits during the period, including that of a multi-national manufacturer. As a trainee, we receive study leave to go to college and complete our professional exams which is not easy alongside work commitments. However, the firm have been enormously supportive throughout this process and I have even had qualified colleagues helping me revise. There is a vibrant social life at RG. As well as regular nights out organised by the staff there is a Sports and Social committee which organises events that are subsidised by the firm. RG is the perfect environment in which to train as it feels more like a family than a firm! Shortlisted candidates will be invited to an assessment day at our offices on 12 November 2018, where they will have a series of interviews and assessments. The deadline for applications is 28 October 2018. Our graduate opportunities for 2019 have now been filled. If you would prefer to start working straight after completing your A levels and avoid the expense and debt of University, you may wish to consider applying to train with us to become an accounting technician. For the duration of your training, you will be based in a dedicated, modern and well-equipped training area where you will be given the opportunity to prepare clients’ accounts from start to finish, to prepare income tax computations and to assist in audits of organisations based primarily in the North East. Tuition for the Association of Accounting Technicians (AAT) exams is provided by means of day release with a national training provider. Progress on courses is closely monitored and supported by the partners. All staff participate in ongoing training via external courses and internal seminars. Once you have qualified as an accounting technician there may be an opportunity to study towards further professional qualifications. Within Ryecroft Glenton, there are regular social events and a number of sports teams giving opportunities to participate in competitive events and network with other professionals.